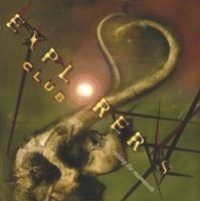 This is the second release of the band Explorer's Club, their debut was released in 1998 and was called Age Of Impact. It doesn't matter how many songs you put on an album, everything's possible... Between one track (that's what band mastermind Trent Gardner had in mind) and 44 songs. The musical impression on Raising The Mammoth is done by drum legend Terry Bozzio and Dream Theater bassist John Myung as well as guitarists Kerry Livgren, Marty Friedman (ex-Megadeth) and Gary Wehrkamp (Shadow Gallery) beside Mark Roberts and Trent Gardner on keyboards. The vocal parts are done by Gardner himself as well as by Steve Walsh and Dream Theater singer James LaBrie. The music comes alive through the progressive drum parts of Mr. Bozzio (known for his session works as well as for his work with Frank Zappa) and the virtuosos guitar play and the keyboard parts. The vary vocal track - not just because working with 3 singers, also because of different atmospheres - add a large variety to the album. The songs flow into another and so you can see the songs as separate parts or the album as a unit. The unusual booklet design fits to the outstanding concept. This album is a sophisticated piece of music and so nothing for the average listener, but for fans of porg metal it's really interesting, even it takes awhile until you get into it!